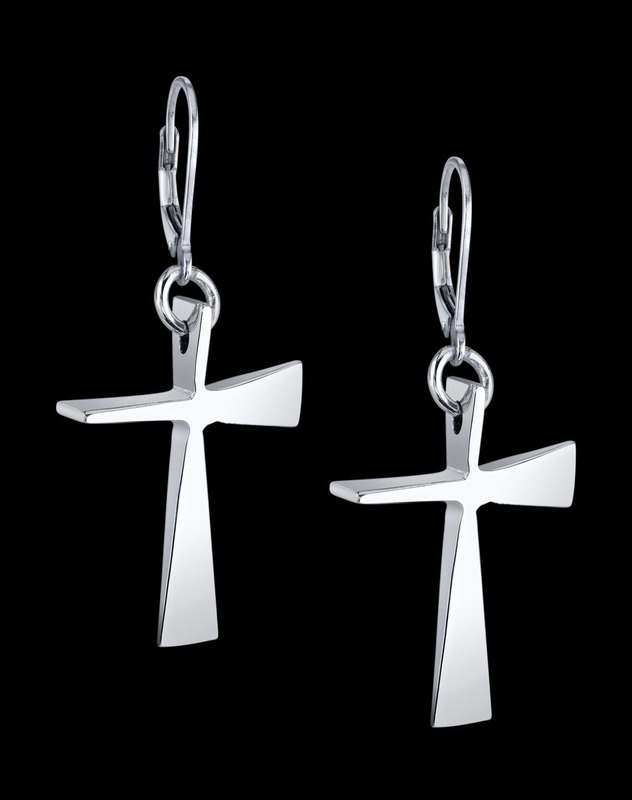 The Trinity Cross sterling silver earrings come in the petite size cross, 5/8", and are made by the lost wax method, hand cast and hand polished. The earrings come with sterling silver lever backs. The Trinity Cross design's first incarnation was in clay in 2007 when Los Angeles-based sculptor / jewelry designer Charles Sherman made a free-standing ceramic sculpture with a copper and iron oxide patina.